Spring Hill Landscape LLC and Chadwell Construction is a full service residential landscape and construction company. President Michael Chadwell has over 20 years experience in the construction, design and landscape fields. We can do everything from designing and creating your personal outdoor oasis to building or remodeling the idea home for you. If you are looking to beautify your outdoor space and create a natural ambience of peace and serenity, Spring Hill Landscape LLC can take your vision and transform it into your personal oasis. 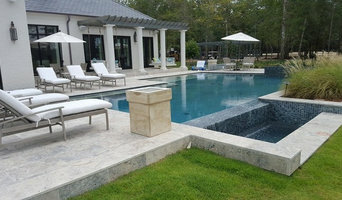 Our talented team of landscape professionals will work with your existing surroundings and landscape and create a unique space for sheer relaxation or entertaining purposes. Spring Hill Landscape LLC is dedicated to combining the great outdoors with the latest trends in landscaping products and design to create a personal haven for your family and visitors. Our experienced landscape design team can help you create the perfect backyard design from initial concept to completion. Patio Heater USA provides high–end outdoor heaters for home patios, sunrooms, restaurant patios and gardens. 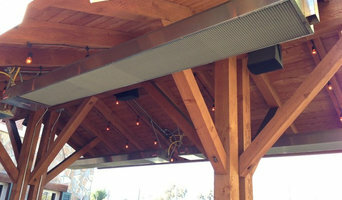 Our patio heaters efficiently heat outdoor spaces with infrared radiant heat. That means they gently warm objects and people much like the sun warms the earth. Easily mounted to walls or ceilings, our heaters require no extra floor space. They also include a sleek stainless steel frame, allowing them to blend seamlessly with any surroundings. Outdoor heaters from Patio Heater USA are durable and weatherproof, operating in rain, shine or snow. All models available in both propane and natural gas. Since 1973, the professionals at The Wallace Company have developed their reputation as a premier, full-service landscaping contractor in Pensacola, Gulf Breeze, and Northwest Florida. 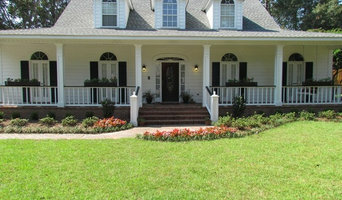 Providing expert services for residential and commercial clientele, our Pensacola landscaping professionals take pleasure in creating unique landscapes that naturally flow with your property’s design while holding their own individual strength and beauty. From basic landscape maintenance to large-scale new landscaping installations and features, our skilled team of designers and landscapers are ready to transform your property. Over 46 years of design/details/bidding/supervision experience in residential, recreational, and commercial design projects. 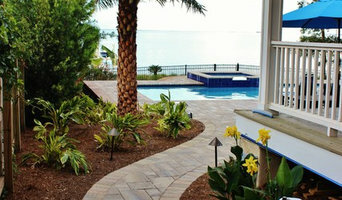 A landscape architecture firm with a specialty in residential landscape renovation and new construction projects. 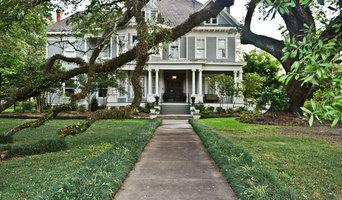 CSA Group, Inc. is a progressive landscape architectural and planning firm located in Mobile, Alabama. The firm offers a broad spectrum of professional planning and design services for commercial, industrial, residential, educational, recreational, and military projects. Our expertise in landscape architecture and planning helps us to identify design strengths and produce functional and aesthetic solutions. The firm provides imaginative, realistic, and economic design solutions and is recognized for its functional and workable designs, which are fully responsive to the client's objectives. The founding firm originated in 1959 and subsequently evolved into the CSA Group, Inc. Since that time, the firm has continued to build on this vast background and experience. CSA has been involved in a broad range of products with a variety of clients including architects, engineers, developers, state and local government, colleges and universities, businesses and industries. Our commitment is to provide our clients with innovative design services and problem solving capabilities on time and within cost restrictions. Our two-fold goal is to provide an excellent product, while establishing a personal and professional relationship with our clients. We are a multi-service Landscape Architecture Company with over 25 years of experience in the design and detailing of a variety of project types.